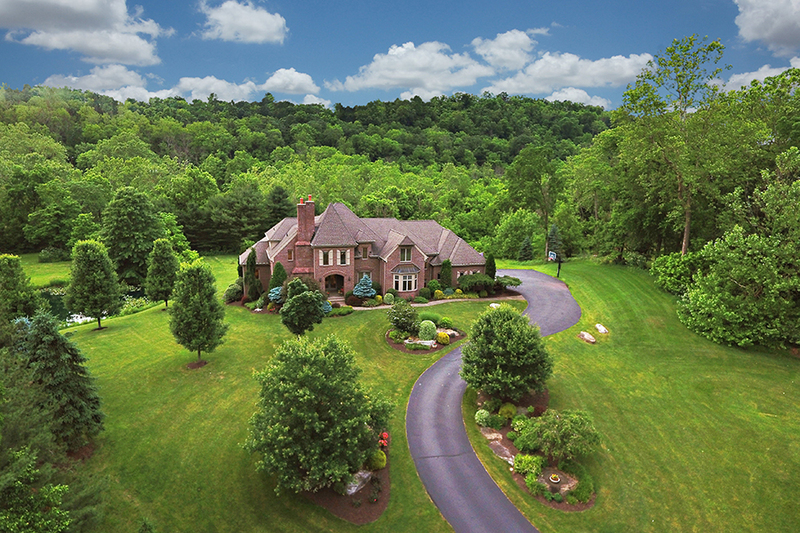 On July 22nd, a luxurious home in McMurray, PA that was recently asking $1.7 million will be sold at a live auction without reserve, meaning the property will sell to the highest bigger regardless of the high bid price. The sale will be held on the property site, and is open to those parties who register for the auction in advance. Luxury real estate auction firm Platinum Luxury Auctions is working in tandem with listing agent Karen Marshall of Keller Williams Realty in Bethel Park, PA for the transaction. Platinum specializes in the non-distressed, auction sale of multimillion-dollar homes on behalf of their wealthy owners, and conducts such sales both within and outside of the United States. The firm is headquartered in Miami, FL. The estate was designed by the Scholz Design firm and built in 2005 by Paragon Custom Homes. It offers a gently winding driveway entry and an elegant, brick exterior. The 7.1-acre parcel is comprised of manicured lawns bordered by natural forestation. A small pond on the parcel is shared with a nearby neighbor. Interiors of the home are luxurious yet cozy, and present a traditional design style. Three living levels offer more than 8,000 square feet of finished area, with five bedrooms, four full and two half baths. The lowermost level of the home is outfitted as an entertainment lounge that provides ample space for recreation or relaxation. The lounge includes a home theater, “pub-style” wet bar, 700-bottle wine room with tasting area, a billiards table, cigar room, and a fitness center. Additional property features include a two-story grand salon, gourmet kitchen with butler’s pantry, executive study, formal dining, and a 3-car garage. There is also a large, rear patio located just off of the main level’s grand salon, which includes a cozy dining area, grill station and views of the bucolic surroundings. For those looking to cool off during the warmer summer days, the property’s spacious lot provides plenty of room for a custom pool, while the private pond and the gently flowing creek that borders the rear of the parcel further enhance the property’s peace and quiet. The residence is available for open house previews by interested buyers between the hours of 12 and 4pm (EDT) daily, until the auction. Those buyers wishing to participate in the auction must formally register in advance, a process that requires a refundable deposit of $75,000 and the completion of various registration documents. Additional information is available at PennLuxuryAuction.com, or by contacting a Platinum representative at 800.828.5175. 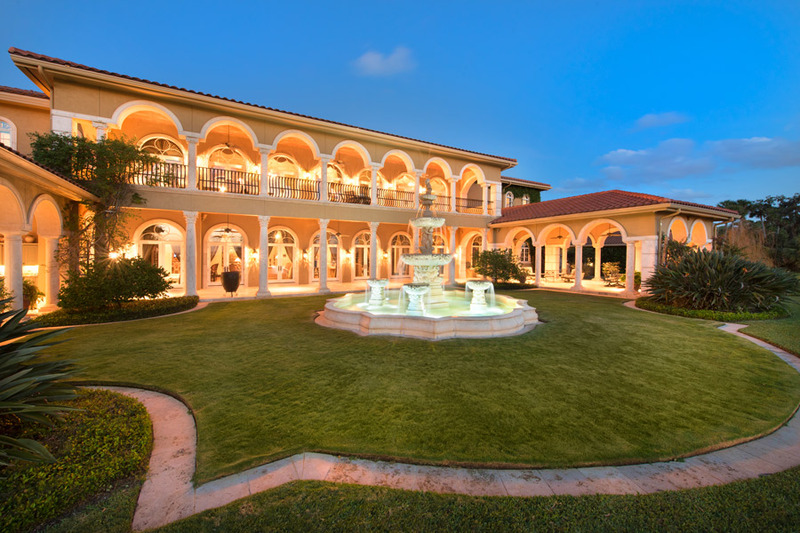 An impressive lakefront estate located just outside Dallas, Texas is scheduled for sale via luxury auction® on Friday, July 14th. The real estate auction, which will be held on the property site, will allow qualified buyers an opportunity to purchase the home for the highest bid at or above the auction’s reserve price of $1.5 million. For perspective, the residence was recently listed for $4.75 million. Miami-based real estate auction firm Platinum Luxury Auctions is managing the auction sales process in cooperation with listing brokerage Coldwell Banker Residential Real Estate, represented by listing agents Kelly Crowell and Melissa Phillips. 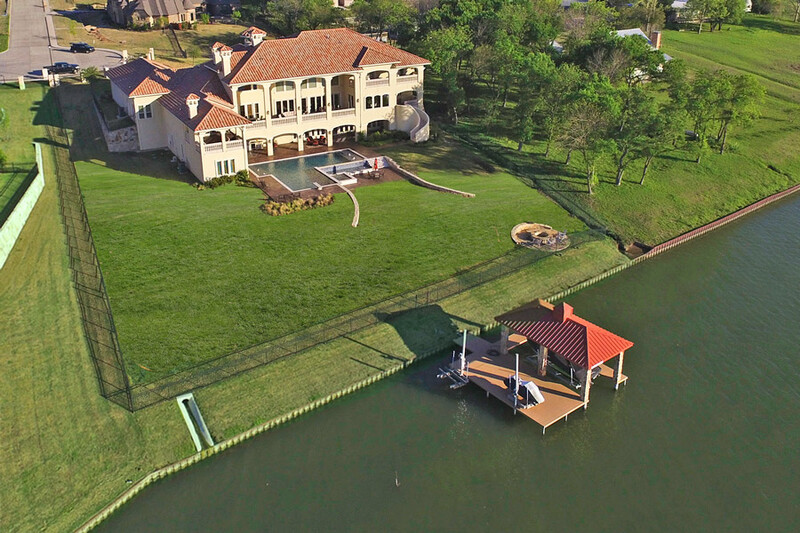 Located in Heath, TX within Rockwall County, and situated directly on Lake Ray Hubbard, the property is an ideal retreat for family and friends. The home occupies a 1.26-acre lot within a cul-de-sac in the residential community of The Shores at Cedar Glen, a boutique, luxury community comprised of mid-to-large estates built on lots at least one acre in size. The property’s western exposure provides for beautiful sunset views over the sparkling lake. The estate was custom built by its owners, and completed in 2015. As the owners’ business interests have limited their time in the home, they elected to retain Platinum to sell the property expeditiously, rather than continuing to wait for a buyer using the traditional real estate sales approach. Platinum specializes in working with such sellers – that is, those who are not in distress, but simply wish to sell their multimillion-dollar property quickly and efficiently. To be sure, the tri-level home features more than 11,300 square feet of living space, with 7 bedrooms, 7 full and 2 half baths. Outdoor living areas include a sprawling, lower-level loggia, two sets of upper-level terraces, and a custom pool and spa – all offering direct lake views. There is also a fire pit and a private boathouse with multiple lifts for one’s aquatic toys. Fully integrated “Smart Home” technology allows for seamless control over property functions such as garage doors, lights, temperature, window blinds, a security system (with HD night vision), and the pool’s heat, spa and LED lighting systems – all at the touch of a finger from essentially anywhere in the world. A two-story, executive study provides access to the home’s “hidden” wine cellar / safe room (surrounded by concrete walls), which includes climate control and several storage rooms that surround the main tasting area. Additional features include a gourmet kitchen (with an icemaker than makes the famous Sonic Drive-In ice), two summer kitchen/BBQ areas, fitness room, electric window shades, surround sound throughout, a home theater with a 120-inch screen, Nava glass doors, a 5-car garage with golf cart bay, and a sumptuous master suite with an oversized bath and a private, lakefront terrace with spa tub and fireplace. The property is available for open house previews by interested buyers between the hours of 12 and 4pm (CDT) daily, until the auction. Additional information is available at LakefrontLuxuryAuction.com, or by contacting a Platinum representative at 800.541.6596. The evening prior to the June 3rd auction sale of the Daytona Beach riverfront residence of the late Bill Jr. and Betty Jane France – members of NASCAR’s founding family – the Daytona Beach News Journal speculated that the sale could fetch the all-time price record for a single-family home in the Volusia–Flagler County market areas. That record is believed to be the $5.25 million sale of an oceanfront property in the Palm Coast’s Hammock Dunes community, which occurred in the headier markets of 2004. (For time-adjusted perspective, that home is currently offered for re-sale at only $2.975 million). However, Miami-based Platinum Luxury Auctions – the luxury real estate auction firm that handled the auction – has announced the price will likely occupy the second place position in the record books, although it technically could have taken the top spot. “In this auction, we offered an incentive program that allowed those bidders who placed bids in advance of the live auction sale to receive a pricing discount based on the amount of their opening bid,” stated David Ashcroft, Platinum’s Director of Business Development and a spokesman for the sale. According to Mr. Ashcroft, the winning bidder of the auction received such a discount, which adjusted the final sales price to just under $5 million, before adding closing costs. “Without the adjustment, the gross price paid by the buyer would have been right around or above that $5.25 million number, but this is a 2017 market – not a 2004 through 2006 market – so our client was pleased with the overall result,” he added. Although never previously offered for sale, the waterfront estate had a “just value” of $5.198 million in 2016, as per the Volusia County Property Appraiser (2017 valuations are not yet available). Platinum, which also served as the exclusive real estate brokerage for the transaction, reported that a total of eight bidders registered for the live auction sale, which took place within the property on the morning of June 3rd. The winning bidders are reported to be a Florida couple that wishes to remain anonymous. After Bill France Jr. passed away in 2007, Betty Jane lived in the home until her passing in August of 2016. Rather than list the home for sale traditionally, the family retained Platinum to sell the property at auction, rather than endure what they expected to be a lengthy listing period. Bill Jr.’s father, Bill France Sr., founded the National Association for Stock Car Auto Racing – or NASCAR – in 1948. The France family has maintained ownership of the once-modest business as it evolved into a motorsports empire. The estate occupies 3.8 manicured acres with 325 feet of water frontage on Daytona’s Halifax River. There is also a 150-foot boat dock, custom pool, outdoor kitchen/bar, and various loggias and terraces offering beautiful water views. Its main residence offers more than 17,000 square feet, while a separate guesthouse adds another 1,700 square feet. In total, there are 5 bedrooms, 7 full and 6 half baths. Property features include a grand “River Room” for entertaining, a commercial-grade elevator, dual spiral staircases, a “hidden” wine cellar and tasting room, a private hair salon, gourmet kitchen, fitness center, built-in home audio system, and a fleet of 24/7 surveillance cameras. The sale is scheduled to close before the July 4th holiday. Additional information is available at PlatinumLuxuryAuctions.com, or by contacting a Platinum representative at 800.262.5132.